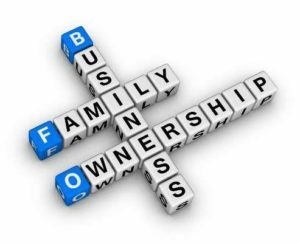 India and family business are 2 terms which go hand in hand. Our country has always been well known for carrying a large family business. 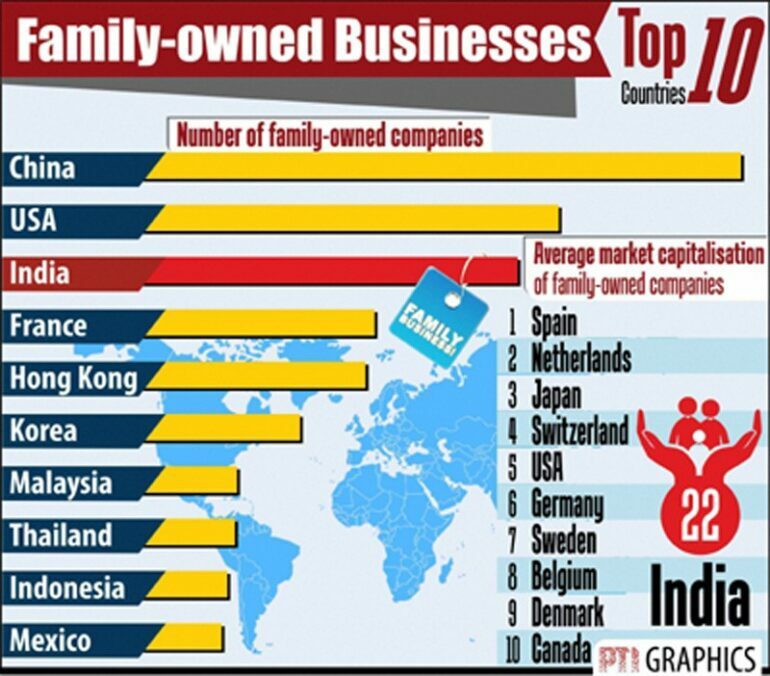 Globally India ranks 3rd in the family business list with 111 owned companies followed by the United States is at 2nd position with 121 firms and China leading the top with 159 firms. India has a total market capitalization of USD 839 billion in terms of family-owned business houses. Within the non-Japan Asian region, this list of global family-owned business firms is dominated by India, China, and Hong Kong. Combiningly these 3 jurisdictions constitute for around 65% of the non-Japan Asian section of the CSRI’s database. Together they also value up to around 71% of market capitalization with USD 2.85 trillion. Korea secured the 4th place in the non-Japan Asian region with 43 companies and a market capitalization of 434.1 billion. Following Korea are the other regions each with 26 firms- Indonesia, Thailand, Malaysia, and the Philippines. Last year in 2017, the Non-Japan-Asia-based family-owned companies generated around 25.63% greater cash flow returns of investment as compared to their non-family owned counterparts. In 2017 itself they delivered a 4.2% increase in annual share price, in comparison to 2016. Whereas, the Indian family-owned firms generated a 13.9% annual average share price return since 2006, in comparison to 6% recorded by their non-family-owned peers. There were 24 firms from Asia and 12 alone Indian firms making it to the top 50 most profitable global family-owned businesses. Whereas, on the other hand, more than 50% of the top 30 best-performing companies in the non-Japan Asian region are from India.